Criticizing U.S. trade deals has become potent political ammunition for presidential candidates this election year. As candidates threaten to re-negotiate trade deals to get America “winning” again, the business sector here in Costa Rica is uneasy at the prospect of an uncertain relationship with its largest trading partner. Vermont Senator Bernie Sanders has called for “reversing” a trade agreement with Central America that hasn’t made headlines for nearly 10 years, but that many government and business leaders here see as critical to Costa Rica’s economy: the Dominican Republic-Central American Free Trade Agreement, DR-CAFTA or just CAFTA. The agreement created a free trade bloc that encompasses the United States, El Salvador, Guatemala, Honduras, Nicaragua, Costa Rica, and the Dominican Republic, and has been in effect here since 2009. 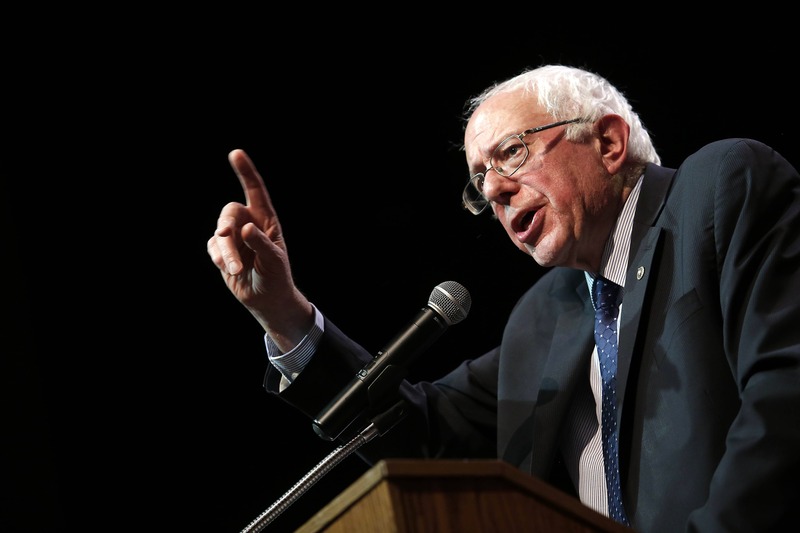 Sanders’ presidential campaign website lists “reversing trade policies like NAFTA, CAFTA, and [Permanent Normal Trade Relations] with China that have driven down wages and caused the loss of millions of jobs” as one of the candidate’s proposals for addressing wealth inequality in the U.S.
“If corporate America wants us to buy their products they need to manufacture those products in this country, not in China or other low-wage countries,” Sanders’ website says. The socialist senator is hardly the only candidate talking about back-pedalling U.S. foreign trade. Republican frontrunner Donald Trump has tapped into a deep-seated anxiety over perceptions of unfair trade practices by China and blamed the North American Free Trade Agreement for the flight of U.S. industry to Mexico. Meanwhile, Former Secretary of State Hillary Clinton has distanced herself from the proposed Trans Pacific Partnership. Eric Farnsworth, vice president of the Americas Society/Council of the Americas, told The Tico Times that dismantling CAFTA would have significant costs for both the U.S. and countries like Costa Rica, but that the costs would be disproportionately high for Central American economies. Farnsworth said that the Caribbean Basin Initiative — CAFTA’s predecessor — offered unilateral tariff-free access to the U.S. market for many Central American products but did not provide long-term certainty for investors. The CBI had to be regularly renewed by the U.S. Congress and one year’s benefits were not a sure thing in the future. CAFTA, he said, created a stable environment where businesses could think longer term with their investments in the isthmus and Dominican Republic. The tough talk on trade might get crowds excited on the campaign trail in the U.S. but doesn’t sit well with the business community in Costa Rica. Gamboa said that Costa Rica has been among the biggest beneficiaries of CAFTA, especially in courting foreign direct investment. Costa Rica accounts for more than 40 percent of the region’s exports to the U.S. since the agreement went into effect. 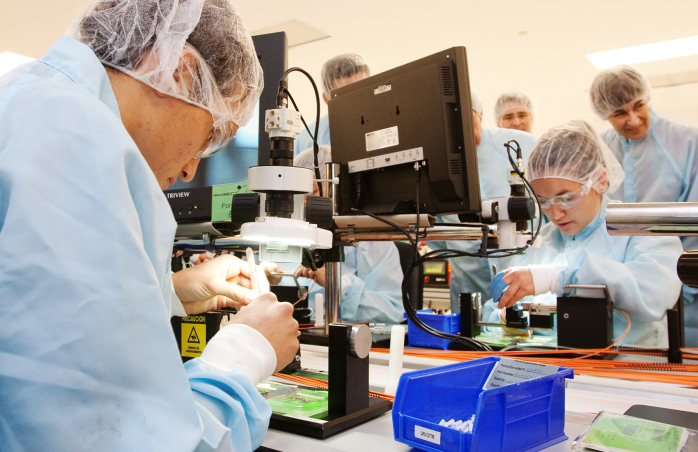 CAFTA was credited in part for the increase in foreign investment here in the business services and medical device sectors, according to a 2014 World Bank report (PDF). Since the exit of Intel’s microchip manufacturing operations in Costa Rica, these have become Costa Rica’s most valuable export sectors. Foreign Minister Alexander Mora said his office is following the political rhetoric in the United States with some trepidation, even though unwinding CAFTA is still hypothetical. Renegotiating CAFTA “would send an enormous signal of instability to investment and production,” Mora said. The trade minister said he didn’t think it would be in the interest of the U.S. or any other member country to leave the trade agreement, considering its economic impact. Costa Rica’s economy is tightly interwoven with the U.S., from the agricultural sector to hi-tech manufacturing, services and tourism. Mora said that, for example, Costa Rica exports $7.2 worth of agricultural products for every $1 worth of agricultural imports. More than 70 percent of the businesses in Costa Rica’s free trade zones arrived since the implementation of CAFTA, he said, and they employ one million people here. One local politician who would be happy to see Costa Rica dial back CAFTA is Citizen Action Party (PAC) founder and lawmaker Ottón Solís. 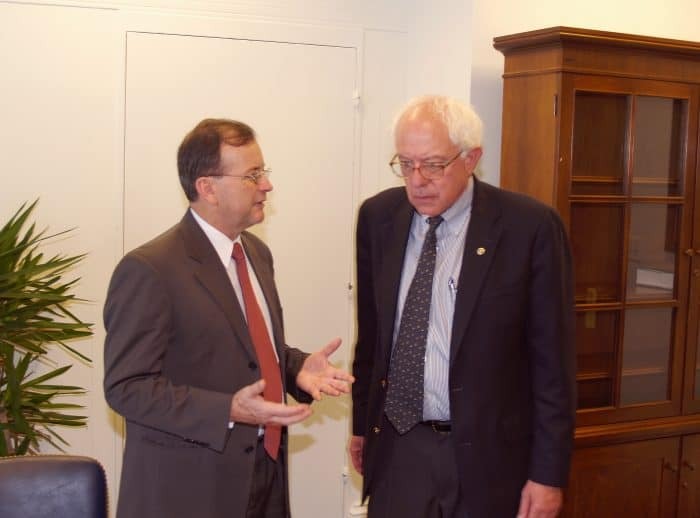 Solís was a prominent critic of CAFTA and enlisted the support of then-Rep. Bernie Sanders to help convince Costa Ricans to vote “no” in the 2007 national referendum on the trade agreement. Though Solís said he was resigned to some of CAFTA’s biggest changes to the Costa Rican economy, including the break-ups of the telecommunications and insurance public monopolies, he would welcome the chance to renegotiate other parts of CAFTA, especially agricultural exports. “Get rid of the [U.S.] subsidies on agricultural products and we could carry on with CAFTA,” Solís said. The PAC lawmaker pointed to free tarde agreements as one of the causes for illegal immigration to the U.S., another hot campaign topic. The benefits of free trade tend to be broad, while the costs are narrow and concentrated. Eric Farnsworth of the Americas Society/Council of the Americas said that CAFTA has sent some U.S. jobs south to the isthmus, but he doubted that the trade deal was a threat to U.S. workers. Trade is an easy target for voter ire, he said, because workers know a certain company moved operations abroad. But trade can become a stand-in for bigger, more amorphous changes in the economy that affect employment trends, like the transition away from manufacturing toward a knowledge or service-based economy. Farnsworth said that politicians in the U.S. have taken for granted how voters feel about these changes, perhaps to their own detriment this election year.